This review first ran in The Hamilton Spectator Feb. 18. Good words to live by unless you’re the boss. Gallup did a poll in 2013 that looked at employee engagement. If you constantly criticize your employees, 22 per cent of them will be actively disengaged from their jobs. They’ll be unhappy campers who make life miserable for you, their coworkers and your customers. But if you ignore your employees completely, 40 per cent will disengage. 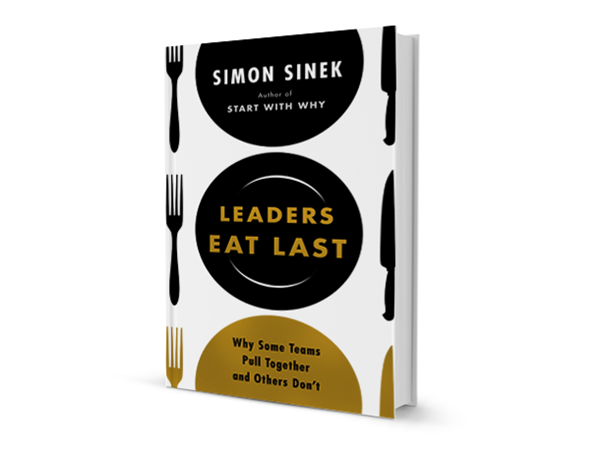 “Even if we’re getting criticized, we are actually more engaged simply because we feel that at least someone is acknowledging that we exist,” says Simon Sinek, author of Leaders Eat Last and Start with Why. Of course you know better than to freeze out or grind down your direct reports. Gallup found that if you recognize and reward your employees for a job well done, employee disengagement drops to just one per cent. Of all your responsibilities as a leader, perhaps none is more important than putting your employees inside what Sinek calls a circle of safety. It’s your job to build, expand and defend the circle and decide who’s in and who’s out. We’re hardwired to want the safety and security of a tribe with a strong leader. While sabre-toothed tigers no longer lurk outside our caves, it’s still a hostile world. Our organizations are under constant siege from competitors, disruptive innovations and economic downturns. Strong leaders know we can’t face these challenges head-on if we’re also fighting fires flaring up within our organizations. Free of infighting, hidden agendas and power plays, we don’t waste our days worrying about who’ll stick a knife in our back. Instead, we have each other’s back. We trust the people we work with. We collaborate and innovate. “Exceptional organizations all have cultures in which the leaders provide cover from above and the people on the ground look out for each other,” says Sinek. Weak leaders break the social contract. They take the pay and the perks but shirk the responsibility to protect those in their care. “If our leaders are to enjoy the trappings of their position in the hierarchy, then we expect them to offer us protection,” says Sinek. Strong leaders make personal sacrifices, put the well-being of others ahead of themselves and have the courage and integrity to do the right thing.